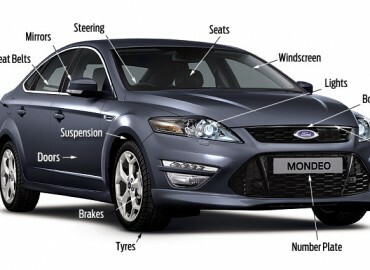 Where can I obtain my radio code, for my Ford? 1. get your serial number simply turn on the radio, hold down button 6 and press 2, the serial will then be shown. 2. ring your local Ford Dealer with the Registration and Serial number. When should the cambelt be renewed? There’s not a standard change interval for cambelts. Depending on the model and the manufacturer, the recommended interval can be anywhere between 30,000 kilometers and 100,000 miles. There will often be a time-based interval specified too e.g. 60,000 kilometers or five years, whichever is the sooner. Sometimes the manufacturer will revise the recommended interval during the life of the vehicle so it’s best to check with a franchise dealer as they will have the most up-to-date information. They will need to know the make, model, engine number and model year. In most cases cambelt failure results in serious damage to many other components in the engine – a major rebuild or even replacement engine will be required! It does no harm to renew the belt early. If you buy a used car it’s wise to get the belt renewed if you are in any doubt that it has been renewed at the appropriate time. How much is reasonable for garage labour? Vehicles are complex with multiple sensors and electronic control units to keep exhaust emissions to a minimum, improve stability/braking and to operate safety systems. 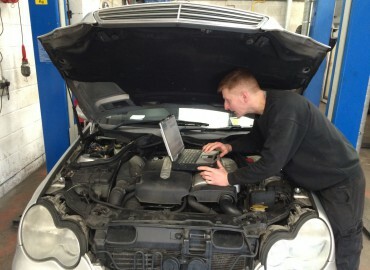 Technicians at franchised garages need to be highly trained and must attend many manufacturers’ training courses. Not only are the courses expensive, but the technicians demand salaries to match their skills. Garage hourly rates vary by location, the nature of the facilities and whether or not they hold a manufacturer franchise. Independent garages are not under the same pressure from vehicle manufacturers to maintain prestigious premises with lots of customer facilities and may be able to charge less than half the labour rate of their franchised counterparts. Get a quote from several garages in your area and compare their hourly labour rates. Airbag renewal after 10 years. What should I do? When cars were first fitted with airbags there was a lack of knowledge and confidence about the long term reliabiilty of the systems . Car manufacturers and manufacturers of airbag systems agreed to validate (or test) them for a 10 year life span. A sodium azide tablet produces the gas which inflates the airbag, and this tablet and the explosive device are sealed. Although some moisture ingress is possible it should not affect performance. There will also be some natural chemical decay, but again this shouldn’t stop the airbag from working. There was also some concern in the early days that the airbag cover could become brittle through aging and a flying fragment cause eye damage. Manufacturers increased the validation period to 15 years on later cars without making major changes to design and we are not aware of any airbag failures atttributed to ageing. If the garage has repaired the car, but say the failure has been caused by driver abuse, then ask them for the old components and get a second opinion from another garage or mechanic. The garage is entitled to ask you to pay for the work before allowing you to take your car. If one of the components has broken and caused the failure, then you may be able to claim under the warranty. 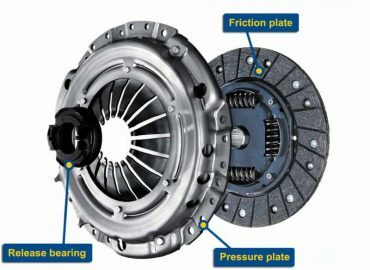 Regrettably, if there is no evidence of manufacturing or material defect, you will have to pay for the new clutch and cost of fitting. Synthetics and semi-synthetics give improved performance at high temperatures and support extended standard drain intervals. They are the preferred choice for high perfomance cars or for drivers who value long life/durability. Your vehicle handbook will specify the grade/type of oil to be used based on durability/extreme environment testing by the manufacturer. If synthetic oils are recommended then that is what you should use. 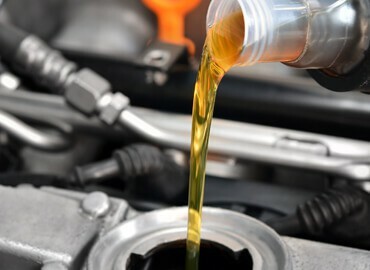 If the manufacturer has confirmed that synthetic oil is suitable for your vehicle and you intend to switch then you must make sure that the engine is drained fully of mineral oil first. Have the refrigerant gas checked regularly and topped up to manufacturers’ recommended levels. Service air-conditioning units every 50,000 Kilometers�or two years to avoid costly repairs. On average, catalytic converters should last up to ten years, but this can vary according to mileage driven and engine tune. You may prefer to go by an average of 80,000 miles before you should expect to be replacing your catalytic converter. Many people can expect to replace the catalytic converter at least once during the lifetime of the vehicle if you intended to keep it for a good few years. Many car owners will ask themselves this question, especially when they buy a new or second-hand vehicle. The short answer is that each car manufacturer has a recommendation for levels of service, and depending on your mileage and how regularly you use your car, they may suggest having a service after so many miles, or so many months of driving � whichever comes first. So for example, a high mileage driver will have their car serviced much more often than someone who doesn�t drive so many miles. If you are concerned about a second-hand car you have just purchased, check theservice record to see when the car was last serviced, and book your car in for one if it will bring you peace of mind. The reason we have our car serviced is to ensure that the engine continues running smoothly and efficiently, and any worn out parts can be replaced that may be causing some issues. Some components wear out over time, such as brake pads and oil filters, and some will take a lot longer to wear out, such as spark plugs and fuel filters. Each car is different, and the manufacturers handbook should be consulted to find out what service intervals they recommend as standard. 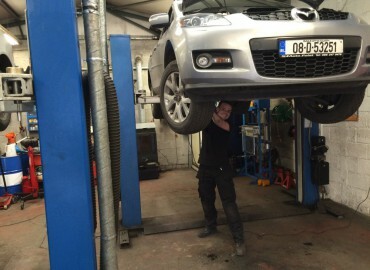 Most garages offer motorists the choice of three levels of servicing. Which one you choose will depend on the amount of mileage you do, and how frequently you drive. All essential parts will be checked during any level of service, so you will feel rest-assured that your engine will be kept running at maximum efficiency. Interim Services are recommended for high mileage drivers, and are usually conducted between annual services every 6 months or 9,000 kilometres � whichever comes first. Full Services are recommended every 12 months or 19,000 kilometres. A very comprehensive service that consists of many individual maintenance checks, refills and replacements to ensure smooth motoring. Major Services are recommended every 24 months or after 38,000 kilometres. This covers everything in a full service plus extra maintenance including replacement of key elements such as spark plugs and brake fluid to ensure your motor runs at maximum efficiency. Regardless of whether your car is still under warranty or not, since October 2003 you have no obligation to have your car serviced at a franchised dealer. However, if your car is still under warranty, you have to ensure your car is serviced according to your car manufacturer�s recommended criteria and service schedule, and all replacement parts must be manufacturer approved. I put Petrol in my Diesel car (wrong fuel in my car) ? If you have put petrol in a diesel car, then you need to act quickly. Putting the wrong fuel into your vehicle can cause havoc to your journey and potentially cause extensive damage to your car engine. But don�t worry, it�s a common mistake to make, occurring on average every 3 minutes in the UK with roughly 150,000 motorists filling their tank with the wrong fuel every year. So you�re not alone! The most important thing to remember is not to try to start your car. Starting your engine will circulate the mixed fuel around your engine, which can cause more damage. If you�ve already put the wrong fuel in your car and are looking for immediate assistance, the AA can help. Remember – do not switch on your ignition. You want to make sure that the fuel is drained as quickly as possible so that you can be on your way. What to ask for when you ring: (Fuel assist) Wrong Fuel Recovery Service, so that we can come and drain the fuel and flush your engine. Putting petrol in your diesel car will damage your fuel pump if not dealt with immediately. In diesel cars, the main fuel pump uses the diesel fuel flowing through it for lubrication. However, when you put petrol fuel in, the mix of petrol in diesel acts as a solvent, reducing lubrication and quickly causing damage to the pump as the metal parts come into contact and rub together. Other parts of the fuel system which might not be compatible with petrol, can also be damaged. Switching on your car�s ignition will circulate this mix of petrol in diesel through your fuel system, causing further contamination to other components. Seat belts are your best protection in accidents and it is especially important that any child in your vehicle be protected by the safety restraint appropriate to their size and weight. By law, you may not carry a child under 17 in a car or goods vehicle (other than a taxi) without an appropriate restraint system (see table below). Forward-facing child seat 9-18kgs (20-40lbs) 9 months - 4 years Click for more info! The National Car Test (NCT) is a preventative road safety measure that ensures vehicles using Irish roads are subject to a basic safety check at regular intervals. Find further information about the test including what the test examines and important recent updates. 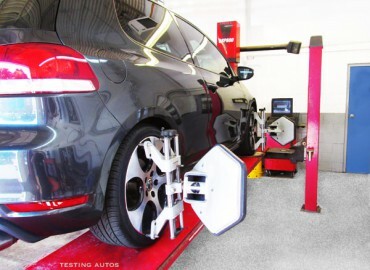 There are 47 NCT test centres located throughout Ireland established solely for the purposes of car testing. Find the centre that is most convenient to you. From July 28, 2014, car owners and members of the motor trade will be able to book an NCT test at any point prior to their next mandatory test. Previously, NCT tests could only be booked within 90 days of a vehicle’s test due date or 180 days in the case of a first NCT. From 28 July 2014, any test undertaken more than 90 days in advance of the test due date will be a voluntary early test and the test due date will be reset to the one or two year anniversary of the successful test (depending on the age of the vehicle). Advice on buying part worn tyres and what to look out for. Second-hand or part-worn tyres are tyres which have been used on another vehicle. If you are thinking about buying a part worn tyre, you must ensure the tyre is safe and meets the minimum legal requirements. You should also think about whether or not you’re getting real value for money.